Without the knowledge of reputed institutions most people spend over six months preparing for the PMP and CAPM certification exams and 40% of them fail. 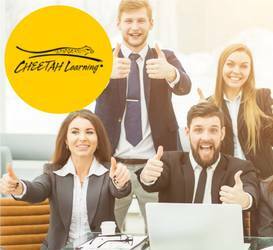 But With Cheetah Learning, people spend just four days in their intensive, accelerated learning program and take the PMP exam on the 5th day. 97% of Cheetah learning students are successful. Cheetah Learning guarantees their students pass, when they follow our program. Our students do not require to do any additional study either before or after our course. It is an intensive weeklong experience that enables people to positively transform themselves into peak performers for long-term, sustainable success.